Willem Hussem was a Dutch painter, sculptor and poet. He was a pupil of Dirk Nijland and studied at the Rotterdamse Academie. He lived between 1918 and 1936 in Paris, where he met Piet Mondriaan and Pablo Picasso. In 1936 he moved to The Hague. He lived in the Mijtensstraat (Schilderswijk). 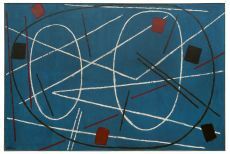 After World War II his works became abstract. He was a member of the artmovements like Fugare, de Liga... Read moreWillem Hussem was a Dutch painter, sculptor and poet. He was a pupil of Dirk Nijland and studied at the Rotterdamse Academie. He lived between 1918 and 1936 in Paris, where he met Piet Mondriaan and Pablo Picasso. In 1936 he moved to The Hague. He lived in the Mijtensstraat (Schilderswijk). 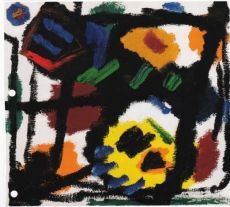 After World War II his works became abstract. He was a member of the artmovements like Fugare, de Liga Nieuw Beelden and Verve. His works are considered to be typical Nieuwe Haagse School.